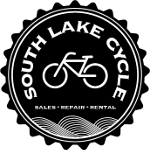 Join Team South Lake Cycle on the MS 150 ride and get a bike jersey for $60! Click here to check out our Team Page and sign up. Stop in the store or contact us for more details.